← Pizza Scarf on BuzzFeed today! BACK2SCHOOL sale at Yummy You! Hope you guys are having a great long weekend! 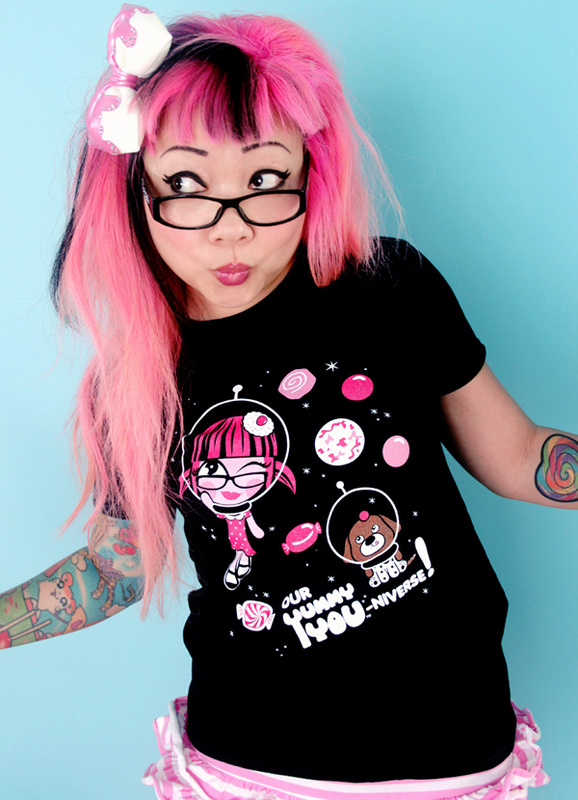 We are running a YummyYou.com sale! Just use code BACK2SCHOOL when you checkout for 20% off your entire purchase! I also uploaded 3 new items: a tshirt, a tank top, and handmade Bibi plush! All are really limited runs. Check it out! 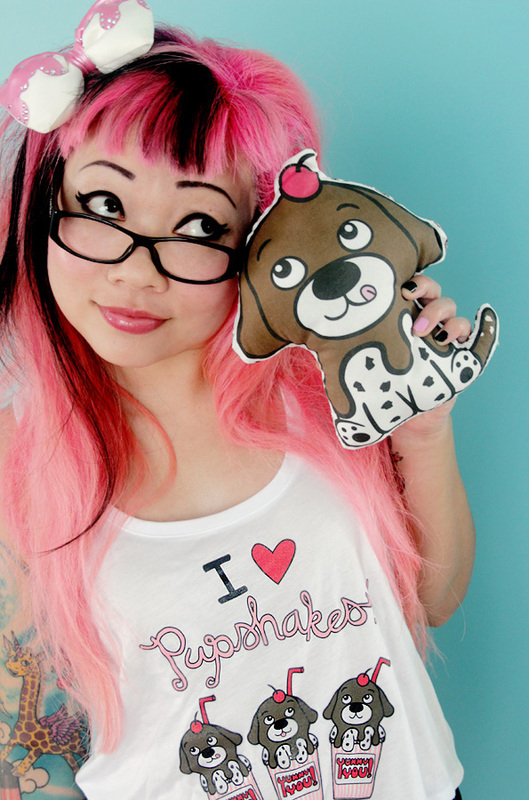 PupShake crop tank and Bibi Sundae mini plush! Also don’t forget to check out our Giant Carrot Scarf! 4 Responses to BACK2SCHOOL sale at Yummy You! That tank top is seriously the best thing I have ever seen :O roll on payday! It was back to school the first week of July here in Memphis. So Awesome! I love Bibi! Mostly because that was my nickname all through middle and highschool. But also because Bibi is the cutest puppy ever! !